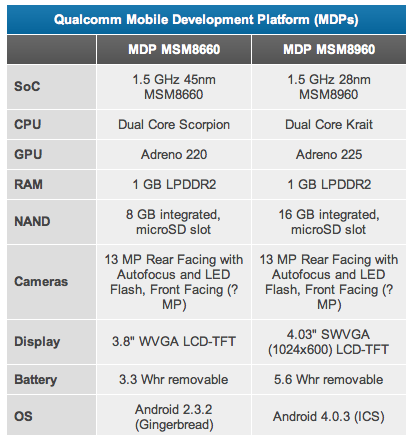 Anandtech put Qualcomm’s new dual-core Snapdragon S4 mobile chip (also known as the MSM8960) through its paces, and the numbers are just mind-blowing. The crux of the publication’s lengthy post is that there is much to look forward to with this chip. 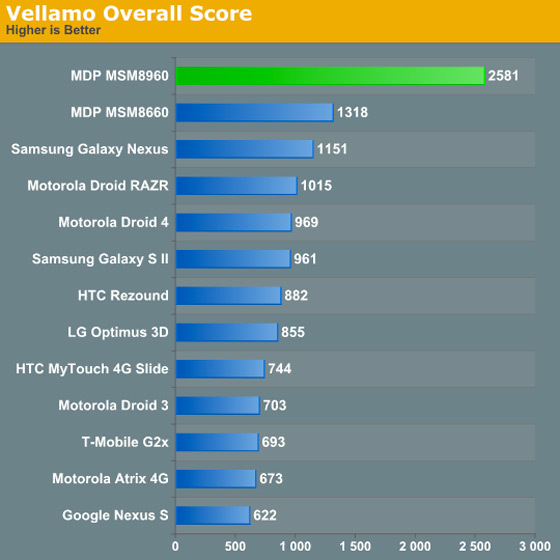 With the overall Vellamo score nearly double that of the Galaxy Nexus’s chip (a dual-core 1.2 GHz Texas Instruments OMAP 4460 processor based on an ARM Cortex-A9 CPU with 1GB RAM and a PowerVR SGX540 GPU), Qualcomm’s offering is no slouch by any mean. In a nutshell: the MSM8960 absolutely destroys every other phone/CPU on the market right now in every. single. benchmark. The dual-core MSM8960 is clocked at 1.5GHz and it boasts the new 28 Krait architecture that supports one, two, or four CPUs. It will be interesting to see how Qualcomm’s chip stacks up against NVidia’s upcoming Tegra 3 silicon. 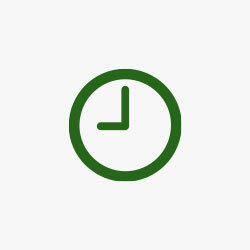 For the time being, it is the fastest off all the other publicly released phone CPUs, making possible higher-performing smartphones in 2012. Read past the fold for the benchmark results.